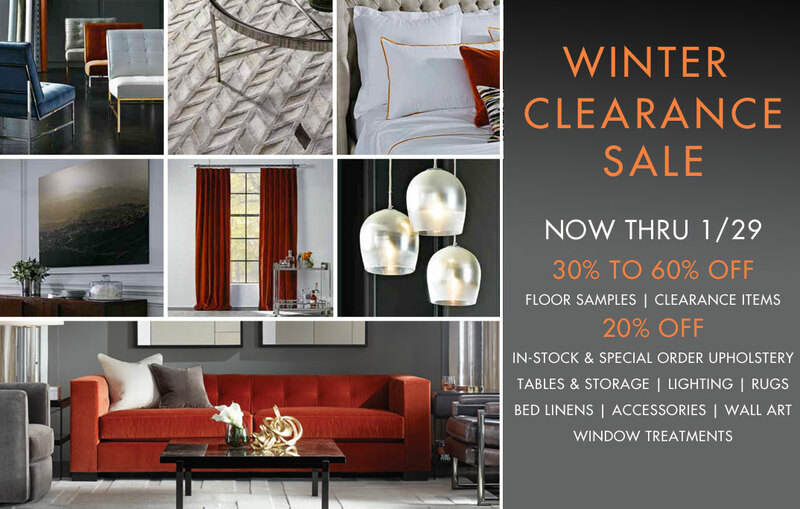 Take 30% - 60% off floor samples and select styles while they last! Plus 20% off special orders, table & storage, lighting, rugs, bed linens, accessories, wall art and window treatments. Mitchell Gold + Bob Williams is an internationally-acclaimed home furnishings brand offering eco-friendly, American-made upholstery as well as tables & storage, lighting, rugs, bed linens, artwork, and accessories - all designed to help people live comfortably with style. Browse through one of the 10,000 sq. ft. Signature Stores, or engage on of the talented Designers on staff. They can offer customized suggestions based on the specific needs of your home and personal style, and offer in-home design consultations.